On February 4, the world’s population unites to fight against cancer. 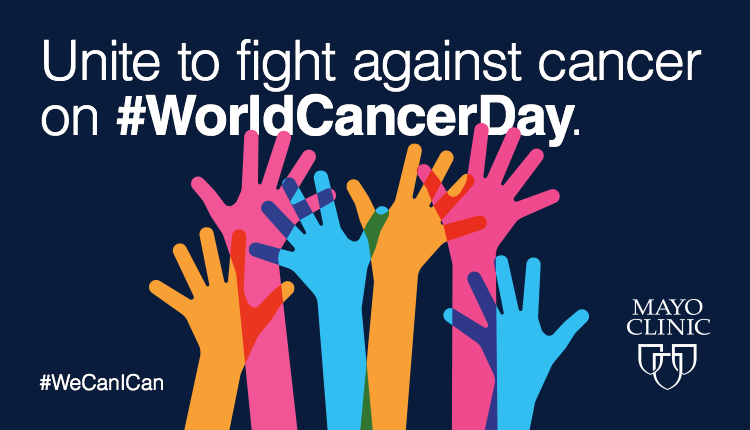 World Cancer Day aims to prevent millions of deaths each year by getting as many people as possible around the globe talking about cancer and its effects. Cancer is the second-leading cause of death in the United States. However, survival rates are improving thanks to advancements in cancer screening. By having discussions about cancer, more people are likely to get screened. On February 4, the world’s population unites to fight against cancer.